The builder didn't skimp when it comes to build quality, audio performance, or battery life, but you'll pay extra for the iconic branding. I'm always skeptical about nostalgia-branded products, including Bluetooth speakers modeled after famous guitar amps. 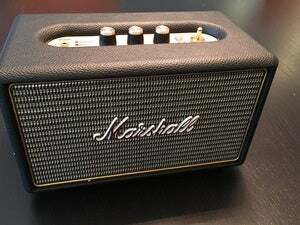 But I found myself quite liking the $300 Marshall Kilburn II. I like its simplicity; I like its sound, which is well above average; I like its rugged construction; and I like the comfortable carrying handle. All that said, I'd like it more if it were a bit cheaper. The Marshall Kilburn II measures approximately 10 inches wide, 6 inches high, and 5 inches deep, and it weighs around 5.5 pounds. It differs a bit in appearance from its predecessor. The first Kilburn's tweed speaker cover goes hand in hand with the Marshall image, where the Kilburn II has a more practical metal grill. I think the new model looks even better. And in the end, the Tolex covering, the protective corner pieces, and the Marshall logo do the trick. The speaker fairly shouts Marshall stack! Okay, Marshall combo amp. The Kilburn II is solidly constructed and its IPX2 rating means it's mildly water resistant; i.e., you don't need to worry about a few sprinkles at a picnic. Just don't try floating it in the pool. The Marshall Kilburn II is ported for excellent bass response. It directs some higher frequencies to the rear as well. 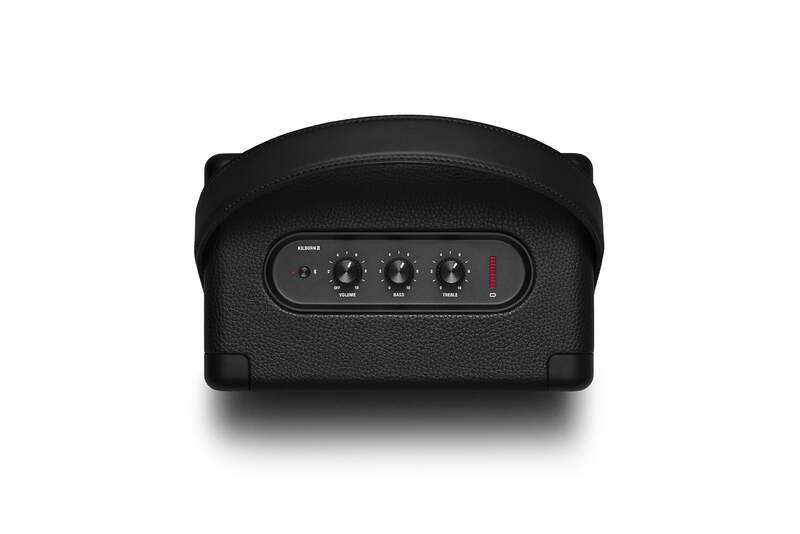 On top, recessed for protection, are the Bluetooth pairing button; amp-style pots (potentiometer/rotary controls) for on/off/volume control, bass, and treble; and the battery status indicator. On the back are a 3.5mm auxiliary input, AC jack (with a captive rubber cover), bass port, and another port that allows higher frequencies from the tweeters to escape and bounce off any acoustic surfaces behind the Kilburn II. Bluetooth pairing is easy, and connections were quickly created with all my devices, which is not always the case. The Kilburn II allows multiple devices to connect and always responds to the latest request; that is, the device that most recently pressed play. There's potential for bad behavior there, but I've always preferred this type of operation to lockouts. Switching is pretty quick, certainly short enough to keep folks on the dance floor while you and your friends battle over the next tune. Special kudos to the Kilburn II's designers for the wide, comfortable carrying strap. It seems to be made from faux leather with a velvet liner, but whatever the material, it doesn't cut blood flow as so many modern handles or straps will, and it spreads the weight nicely. Marshall claims 20 hours of run time, and that's around what I saw over several days, though I played the Kilburn II at relatively low volumes. Regardless, it should last for the entire party, and quite a bit beyond. Note that the Kilburn II's AC transformer is internal and it uses a common, easily replaced two-prong AC cord. There's no wall wart. The large comfy carrying strap and the simple, old-school knob controls are shown here. The modern touch is a plasma-style battery-charge indicator. While not studio monitor or high-end bookshelf speaker quality, the Kilburn II does sound at least as good as Fender's Monterey and better than the Fender Newport, the other two guitar-nostalgia Bluetooth speakers I've reviewed. And in the grand scheme of things Bluetooth, that puts it in pretty good company overall. The only other Bluetooth speakers I'd rate higher for sound aren't portable. Though the Kilburn II is a single enclosure, there is some mild right/left separation evident, due to the dual-tweeter/single-woofer design. The aforementioned bass and treble ports help create oomph and radiate the sound to the rear. The tweeters themselves have very wide frequency range for the breed. Indeed, I was able to add more high end than I actually wanted, and the porting allows enough bass to satisfy all but the most ardent subwoofer aficionados. As to the one woofer thing: Bass is generally perceived by humans as non-directional, so that's no big whoop with only a single enclosure in play. But the best thing about the Kilburn II is that it starts off sounding musical at low volumes and neutral EQ settings, and it remains so no matter how you tweak the knobs--all the way to its loudest level. If there's anything that I can see complaints about, it's that said loudest level is not incredibly loud. Certainly louder than I care to listen to, but I don't throw a lot of dance parties. That would be none, actually. As to the science behind the volume, the subwoofer is driven with 20 watts, while 8 watts is provided for each tweeter. As usual, I'd like to point out that taste in sound varies. In my book, however, the Kilburn II, is versatile enough to suit just about anyone. 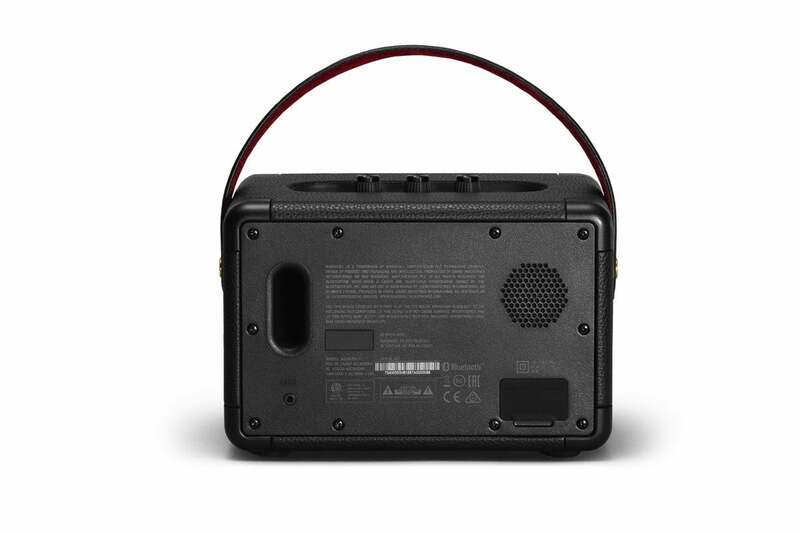 Once again, the Kilburn II is a very nice-sounding portable Bluetooth speaker. That makes any recommendation merely a question of value. As with Fender's Monterey, you're still paying a lot for appearances. If you're okay with that, I'm sure you'll be satisfied with the Kilburn II's design and performance. If it weren't for the $300 price, we'd have no complaints about this portable Bluetooth speaker. 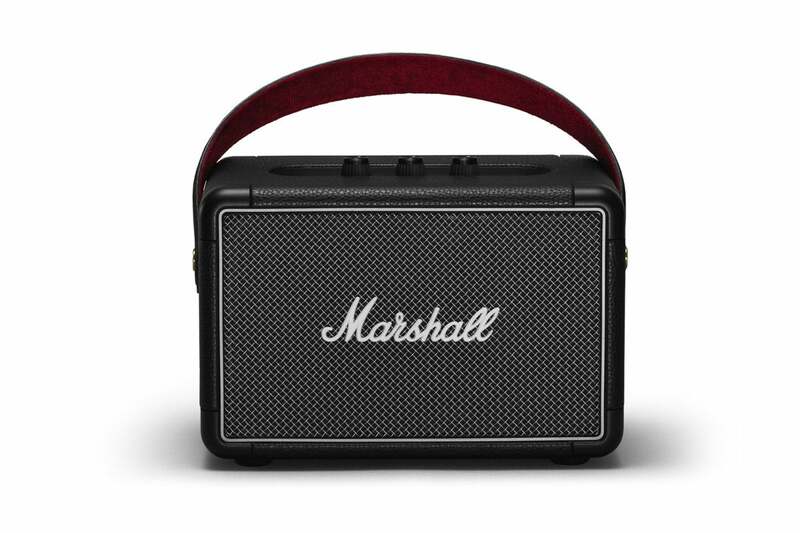 It's basic, but offers the nostalgic and iconic Marshall Amp styling. More importantly, it sounds very good.